Isn't it time you experienced the world's most lavish golfing challenge? 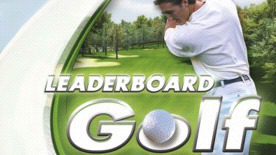 Leaderboard Golf delivers the best in realistic ball physics and swing control as well as a host of stunning courses to play! The intuitive swing system allows control of your back-swing and follow-through for the perfect shot as well as the ability to angle the club-face for all the hook, slice or fade you'll need. Add a variety of great game modes and you won't need anything else out on the fairway. It's time to drive, chip and putt your way to the top of the leaderboard!